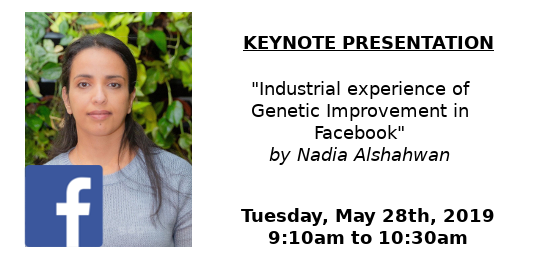 We are pleased to announce the 6th Workshop on Genetic Improvement at the International Conference on Software Engineering (ICSE) 2019, Montreal, Canada. The workshop shall be held on Tuesday, 28th of May 2019. A list of papers accepted to the 6th Workshop on Genetic Improvement can be found on our Papers page. Each will recieve funds to travel and attend the workshop in Montreal. The 7th International Workshop on Genetic Improvement will take place within the Genetic and Evolutionary Computation Conference (GECCO) 2019 in Prague. More information about this event can be found here. Saemundur O. Haraldsson, John Woodward, Brad Alexander, and Markus Wagner shall be running a GI Tutorial at this year’s IEEE Congress on Evolutionary Computation, in Wellington, New Zealand.